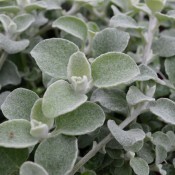 Helichrysum is grown for its petite, velvety, trailing foliage. The silvery sheen of licorice plant makes it a perfect complement for many other plants. Include helichrysum in hanging baskets and mixed containers, and the trailing growth will quickly fill in and provide a soft backdrop for the colourful flowers of other plants. Its cascading habit also makes it suitable for low-growing borders and beds. Please select plant for care instructions. 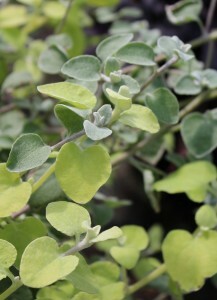 Azure Sunset has small, soft oval shaped bluish green leaves on trailing stems. The beautiful silver blue foliage is a great addition to combination plantings in baskets, containers or beds. 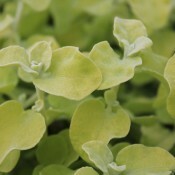 Helichrysum Yellow has small, soft oval-shaped chartreuse green leaves on trailing stems. A great addition to combination plantings in baskets, containers and borders.